Welcome back for Day 13, if you are just arriving for the first time all the details and the linkup can found HERE. Today I have Clearly Besotted as my guest and some of the designers, designing with me. Clearly Besotted is both a guest and a sponsor and is offering to one lucky winner a £20 eGift certificate for the Clearly Besotted online store! Comment for your chance to win if you have sent out your Christmas cards yet? I love CB stamps and these tags are adorable! I haven't sent out any cards yet, but I sure am making them like crazy lol! 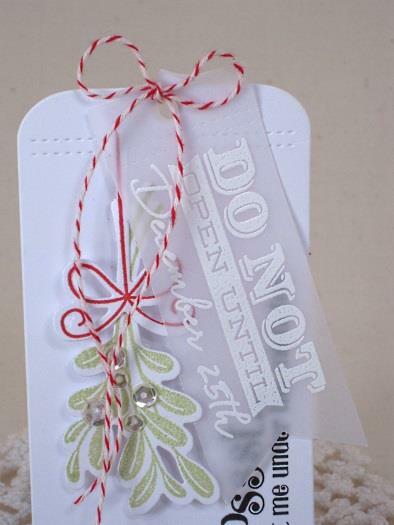 WOW...the CB team has created sensational tags, and your little wreath is absolutely delightful! 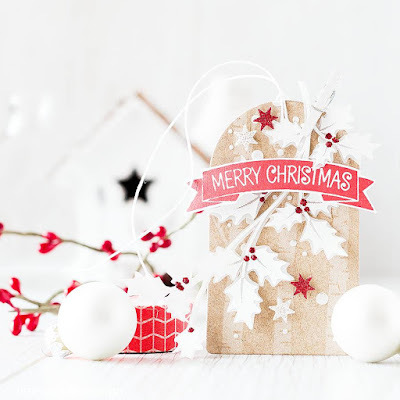 A reminder that I have some CB products that need Christmas-attention! No Christmas cards sent yet; have to make more before tht happens *grin* Again, the inspiration is ah-mazing! Beautiful tags shown here. I have not yet made any Christmas tags or cards. I am still working on Thanksgiving cards! Oh my word! Clearly Besotted tags.... Awesome! I'm getting ready to send out my cards and they will leave my door in the third week of November. Eeeek...I had better get a move on, hadn't I! More wonderful tags, and more inspiration! My Pinterest board is getting a workout! I haven't sent my Christmas cards (won't until December 1) but they are all made and ready to go! You don't need a lot of fussy to have a wonderful tag. I have not sent out my Christmas cards yet - just getting around to thinking about what I'm going to do. I have some ladies who attend card class at my house once a month - I know what their card will be. Other people's cards are still in the designing process. I love all of these! Clearly Besotted makes the sweetest stamps and I definitely am going to need to add some more to my collection! Such beautiful tags as always! I'll not be mailing my Christmas cards any time soon, I have yet to make most of them! Fabulous tags! I love Clearly Besotted! Your sweet wreath tag is awesome! I have not even made cards yet this year.... I am a last-minute kinda gal! so cuutee Tracey and that twine in that two color combo oh I want to have it !!! WOW! these are all so beautiful! Its' so hard to choose which ones are my favorite, but i think I love the holly leaves by Debby and the snowman by Michelle most of all! All of these are fabulous! Too hard to pick a favorite. Am still working on my cards so no tags finished yet. I need to get in gear! Gorgeous tags ladies!!! Thanks so much for sharing! I haven't sent any out yet but I have half of them done! What stunning tags!! I LOVE all of them!! These are beautiful! And yikes I haven't even made my cards let alone sent them out! Beautiful tags!! I will be sending out my cards (most of mine are international - to India) this week. Such cute tags! Mail my Christmas cards already? I haven't started them yet! Another day of gorgeous tags! So much inspiration here, thank you, I need it! Your wreath is beautiful, Tracey! As for mailing out my Christmas cards yet, nope! I have a lot made ahead as I make them all year long, at least two per month, but I don't send them out until early December. More wonderful inspiration! I've got CB on my wishlist--now more than ever! 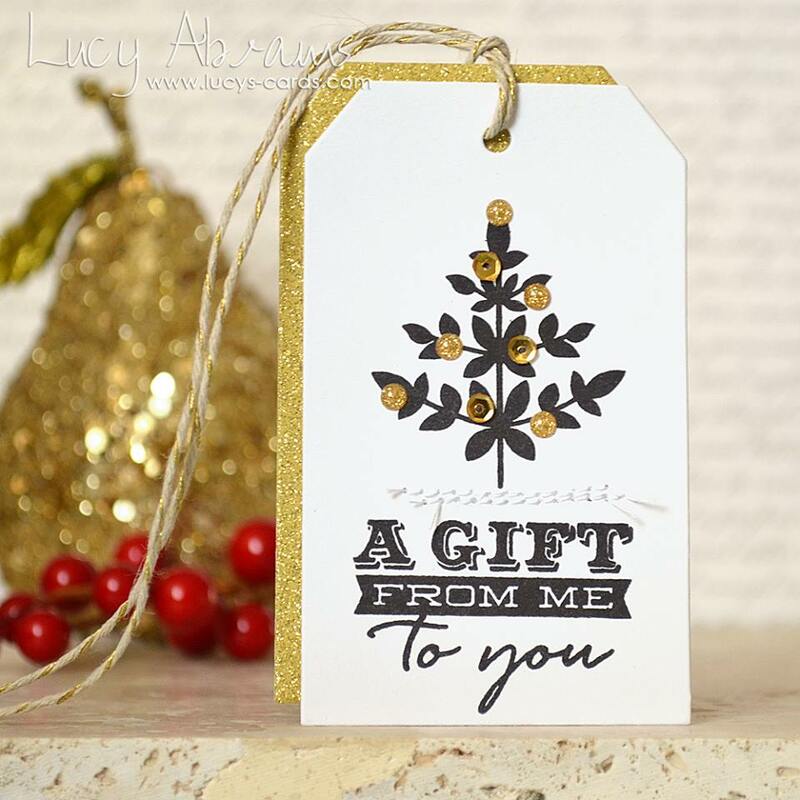 I love the gold sparkle & use of vellum & your sweet wreath! Fabulous ! Love the creations from the team and also your green wreath looks awesome !! Such a lovely CAS design, Tracey! I love your wreath and the bold red bow is perfect! 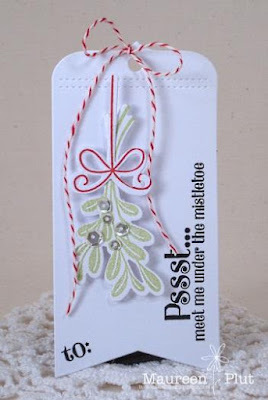 Love these tags...funny I have the same stamp set you used for your wonderful tag! I am no where near to sending out cards. 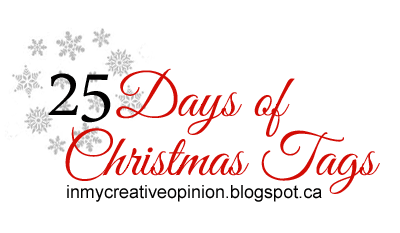 I think you have the entirety of the crafting community taking part in your 25 Tags of Christmas this year, Tracey! Whoop whoop! :D Loving all of today's gorgeousness and no, I have most certainly not started sending out my Christmas cards yet - I am SO not that organized! Such a fun variety of tags today! I love your festive wreath! No have to send out thanksgiving cards and cards for caring hearts first. Love what the CB team has to share today!! 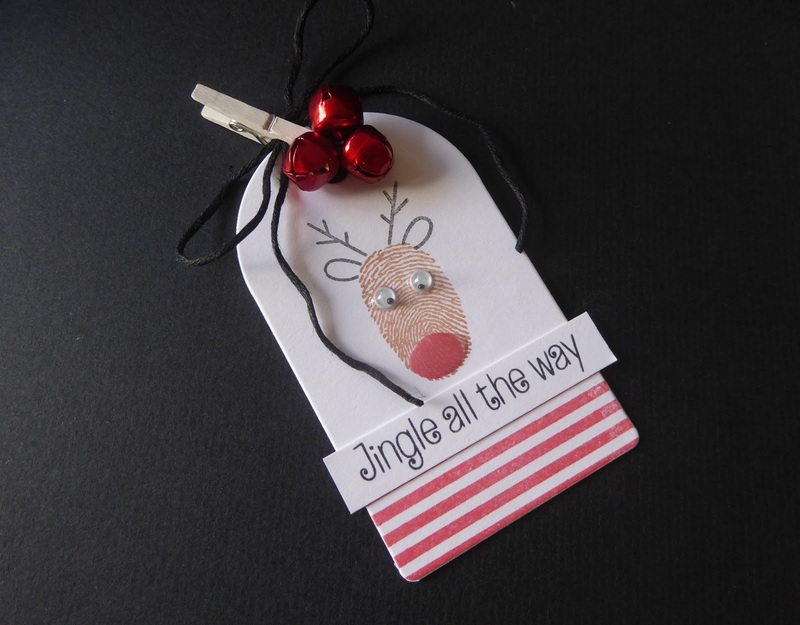 And your little patterned wreath tag is darling!! Let's just say I'm thinking about my Christmas cards...I am SO behind LOL!!! Such great Talent artist creations by CB team! So inspirational and love your beautiful wreath! Not started to send them out yet, i am working on them! Every day I'm amazed at the wonderful tags you show us. Thanks! I have not sent out my Christmas cards, but most of them are made and ready to sign and send. Wow, so much beautiful tag! Love your wreath and that one with a finger-print for the reindeer is just stunning! 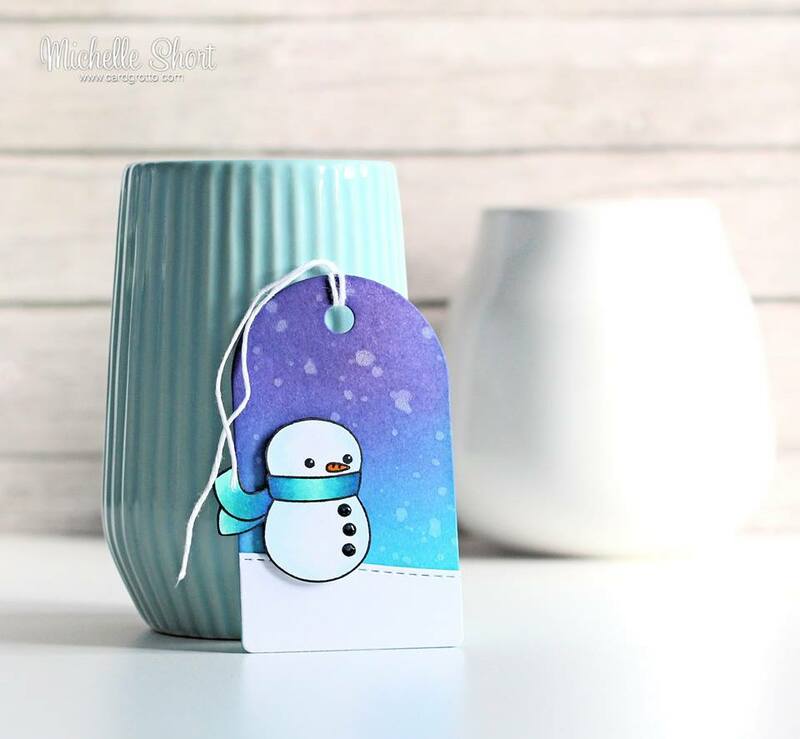 Beautiful tags...I haven't even MADE my cards yet! 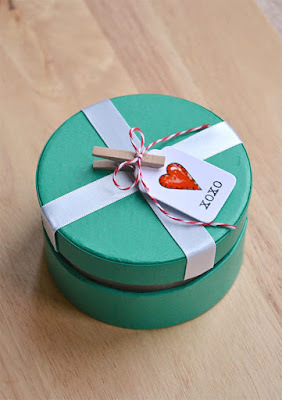 I am LOVING all these FABULOUS tags, SO MANY CLEVER designs and CREATIVE techniques!!! 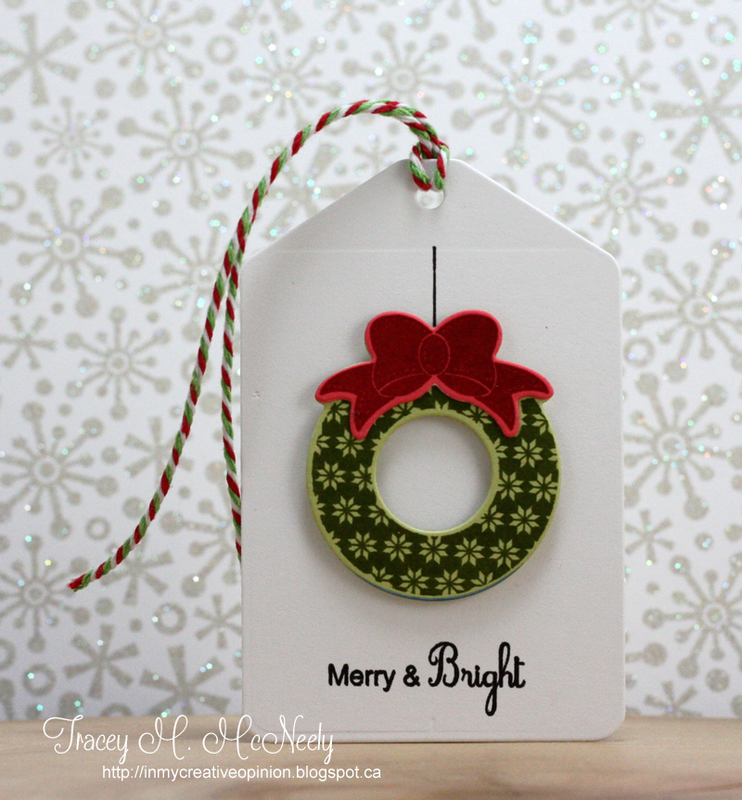 LOVE your PRETTY tag Tracey, your wreath & bow are BEAUTIFUL, PERFECT twine to match it too!!! YIKES!!! Sent them out already?!?!? Noooooo, I have to confess that I'm still working on ours, haven't even finalised the design/s yet => I have to get focussed so that they can all be posted by December 1st. Still working on them. I'm so inspired by the tag posts that I have been working on those. Those tags are all so different! But every single one is beautiful!! ... I have to make cards first, then I can start sending them out ;). Tracey, your tag is lovely and so are the CB, DT's samples. My cards are all made and ready to be signed and addressed. I never send mine before the first of Dec. They will be ready to go then. Today's tags are gorgeous and cute! The CB team are very talented. All of these tags are just so gorgeous! I love how sweet and tiny they all are, and they are all so cute! Love the color and dimensions! Adorable tags today. Are you kidding me? I have not even ordered my holiday cards yet. Still working on ideas for my cards. Can't imagine ever having them done let alone sent out! I usually include a Happy New Year sentiment on the back LOL. Nope, haven't sent out my Christmas cards or Hanukkah cards yet! I never do before Thanksgiving, and I always make a few New Year's cards for the folks whose addresses I have trouble finding until the last minute (we are a military family - our friends move all the time and don't always update their addresses). Lovely creations from Stephanie & the CB team! Every year I say I'm going to start them in August. And every year, I'm scrambling to get them started when my semester ends mid-December. Wonderful tags by all. Love seeing the variety and getting ideas. No Christmas cards out yet here - just starting to make them - eeek!! Hoping to get my Christmas card letter done this week and then we can plow through and get them on their way! Great tags! I am still working on my christmas tags, almost done. I'm just so enjoying seeing so many beautiful tags and learning about stamp companies I wasn't aware of! Sorry, didn't answer the question! I have started writing my cards but haven't sent them yet. Soon, especially the overseas ones! 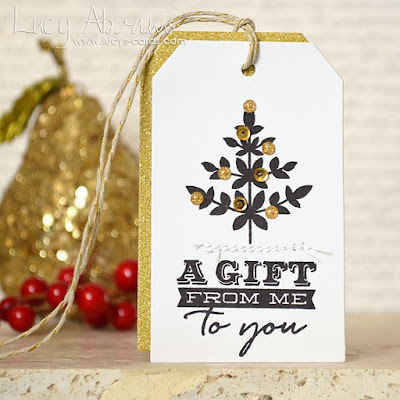 Gorgeous tags, love all the beautiful ones from clearly besotted team, and your tag is lovely with the round wreath Tracey. Love Sharon's darling little snowman tag with the lovely background. No, I have not sent out any cards yet but I am making a list and checking it twice...lol! No, I haven't even started to make my cards! Wonderful tags! I haven't sent any cards yet, I won't start til after Thanksgiving. Adorable tags!! I love CB stamps!! I haven't sent out my Christmas cards yet. I usually wait until the first week in December to send them. No cards sent out yet, not even completely created yet. Not sent out my Christmas cards yet. I only have a few made but will be working on the rest as of now. won't send any out until after Thanksgiving. I have not sent any Christmas cards yet. With all this inspiration I might make tags and put them on cards. I haven't sent mine out yet, but they got ordered LOTS earlier than ever before. Woohoo! These tags are FANTASTIC! LOVE them! And your bright white tag is delish! I usually send my cards out after Thanksgiving. I have not sent out Christmas cards yet. Usually they are very late because my husband writes a "year in review" letter to go with them, and he's more last minute when it comes to Christmas. These are all wonderful tags from the Clearly Besotted team, and your darling wreath with matching twine is fantastic! Amazing tags again. I think my favorite from today is Debby's tag, it just looks so fancy. Thanks, Tracy, for bringing such amazing different Designers together every day! No cards sent yet.....still a bit too early for me. I haven't even made my cards yet let alone send them out! YIKES!! I love the simplicity of the wreath on your tag, Tracey. Send out Christmas cards yet? I wait until after December 1. Our cards go out around Dec. 17th. Love your tag. Most of the Christmas cards I make go to charity. The others will be sent mid-December. I send them out in the first week of december. Love, love CBS and such awesome inspiration. I have not sent out my Christmas cards yet! I picked up the stamps for them though so I don't have to stand in a line-up when it's time to mail them! Love these tags! Great job everyone!!! Sent out my xmas cards?! Before Thanksgiving?! No way. Oh my.....this is so cute. Love that sweet wreath. Cannot believe how many posts I've missed. Love all of these tags. No, I haven't sent any Christmas cards yet. It's probably going to be a last-minute affair, as always. Still frantically creating them. I have all the pieces cut out, just need to assemble them. You made a very elegant tag and I like all the others, too! No, but I have ordered them, so that's a step in the right direction even if it was like pulling teeth to get my family to take a photo. Small steps.